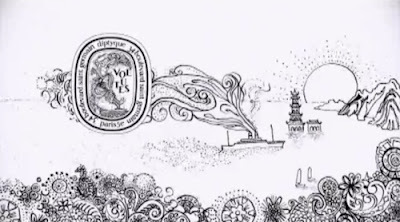 A couple of months ago I was wandering about the Diptyque counter in a French department store where I had gone for makeup shopping - what else - and I was intrigued by the name of their newest release: Volutes. In French, Volute refers to a swirl of smoke. And since I usually like woody smokey leathery scents, I thought I might like this one. The first sniff was interesting but it wasn't love yet. I only manage to get a few samples of both the eau de toilette and eau de parfum more recently and that's when my love for Volutes developped for real. The notes for this perfume are quite compelx: iris, honey, tobacco, dried fruit, pink pepper, black pepper, saffron, hay, immortelle, myrrh, storax, opopanax and benzoin. But the overall result is quite smokey, like cherry tobacco, and on me at least it's very dry and woodsy but the softer notes like the iris and honey are rather lost and I don't get much sweetness at all. I have, however, noticed a difference between the EDT and EDP. While lots of people have said that the EDT was drier, for me it is really the opposite: the EDT has a creamier softer quality to it, that can become a bit soapy musky on me just like Lutens Chergui did. 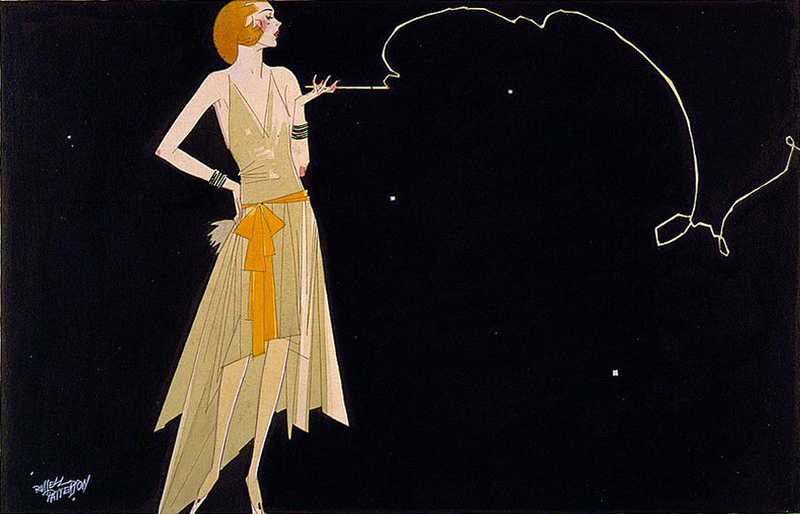 Actually, there are some similarities between both fragrances, as they have a lot of notes in common. I think it's the iris and immortelle that are giving it its creamier softer edge. The tobacco background is still very much there, though. No, this doesn't smell like an ashtray at all, but it has something of a mix of feminine perfume and warm smoke that goes so well with this flapper imagery, at least in my mind! 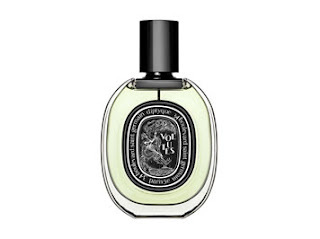 Diptyque being a luxe niche brand, it's not cheap - but in my opinion their perfumes are so well composed and so high quality that they are absolutely worth their price. 100ml Eau de Toilette (82 €), 50ml Eau de Toilette (62 €), and 75ml Eau de Parfum (95 €) . Nice to hear that you like Volutes too. I picked up the EDT recently. I couldn't decide between the EDT and the EDP but you're right, the EDT does have a softer quality to it. The best part about Volutes, for me, is the dry down. It's such a pleasant scent. I just read your review of it, it's funny we get some different notes :) Perfume is always such an individual thing.